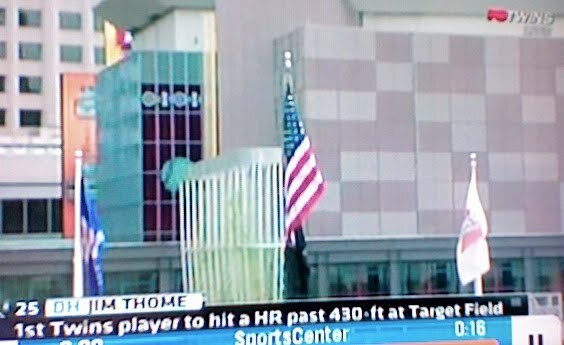 On Monday, Jim Thome became the first player to hit a home run further than 430 feet at Target Field. While that is quite impressive, nothing is more so than the fact that he HIT THE FLAG POLE! Now, if this were a video game, he get at least 1000 points for that puppy! Oh, and all of THAT weren't enough, he is now (or was when I posted this) just one home run shy of Frank Robinson in all-time homers! Remember, this is the guy who wasn't sure he'd play this season. This is the guy who took a PAY CUT to play the game because he loves to play baseball. This is the guy who is cleanly making his way into the Hall of Fame. Way to go!